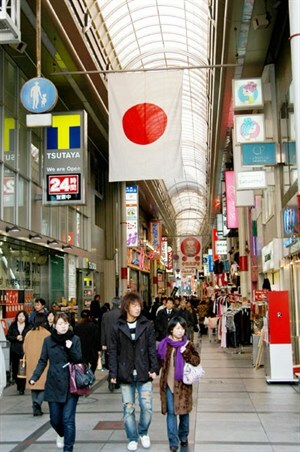 Japan is the 3rd largest economy in the world. 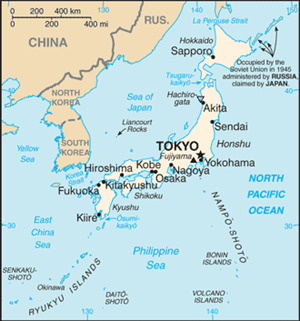 Japan's economy is twice the size of the UK's - Tokyo's economy alone is larger than that of Russia's. GDP per person is 10 times that of China. Britain and Japan are key strategic partners with strong political, trade and social ties. There are approximately 16,000 British citizens residing in Japan and approximately 63,000 Japanese people in the UK. A cutting edge business culture: 68 Fortune 500 companies are Japanese (Britain has 30). While contributing to 7% of world GDP, Japan accounts for around 11% (*PPP) of total global R&D spending and has 20% of the top global industry R&D spenders. A desire for IP: especially high-end electronics, bio- pharmaceuticals and business services. Japan received 344,000 patent applications in 2010 of which 1,738 were from the UK. Consumers that are highly educated, demand the highest standards and are early adopters of new products and services. A strategic stepping stone for other Asian markets, Japan has an increasingly globalised outlook, with English becoming more widespread. UK exports to Japan were worth over £8bn in 2010 making Japan the UK's largest export market after Europe, China and the US. These exports consisted of £4.2 billion in goods and £3.9 billion in services. Exports of goods in 2010 ranged across sectors, but were particularly strong in healthcare, machinery, chemicals and transport equipment. Financial services are the UK's largest export of services goods to Japan valued at £2.9 billion in 2009. Other significant business services include legal, accounting, advertising and R&D. Imports from Japan to the UK in 2010 were £11.5 billion consisting of £8.1 billion in goods and £3.4 billion in services. While the Japanese economy has now been overtaken by China overall, Japan's GDP per person remains ten times that of China and Japan is the 3rd largest economy in the world. Japan is also one of the world's largest exporters and one of the largest overseas investors. Economic growth is heavily export dependent. At 3.9% of GDP, foreign direct investment into Japan is low but the Japanese government is aiming to increase this. Small and medium sized enterprises make up 99.5% of all Japanese companies. The service sector accounts for 67% of total gross value added with manufacturing accounting for 22%. Key challenges for the Japanese economy after 20 years of low growth include how to boost growth, reverse price deflation, deal with a high and rising public sector debt and adapt to a rapidly ageing society. The current population of Japan is around 127 million people. A declining birth rate and high longevity mean a rapidly ageing population, with 20% already 65 or over. This is predicted to rise to 40% by 2050, by when the population is predicted to have fallen to 95 million. Most Japanese live in densely populated urban areas. The Tokyo conurbation remains the world's largest at around 35m. Like the UK, Japan has a monarchy, with a parliamentary government split between an Upper and Lower House. Emperor Akihito is the current Head of State. After over 50 years of almost continuous rule by the Liberal Democratic Party (LDP), a General Election in August 2009 saw a landslide victory for the opposition Democratic Party of Japan (DPJ), led by Yukio Hatoyama. The manifesto policies that helped bring the DPJ into power focused on social welfare, with a pledge to raise the necessary funds by eliminating waste and cutting unnecessary projects. The DPJ also wants to change the internal workings of Government, reducing the influence of civil servants and the traditionally close government links to big business. However, Prime Minister Hatoyama resigned in June 2010 and was replaced by Naoto Kan who had been Finance Minister. Due to a combination of weak political support, and the difficulty of dealing with the March 2011 earthquake and the subsequent nuclear crisis, Kan resigned in August 2011 after just over a year in office. The DPJ's new president and former finance minister of Kan's cabinet, Yoshihiko Noda was elected Prime Minister on 30 August 2011. Noda has made reconstruction his government's top priority.